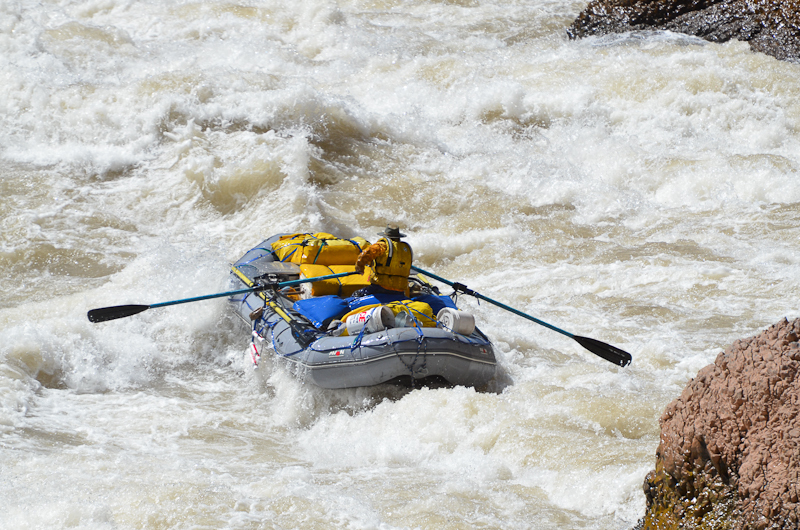 Mike ran next with Martin mounted like a crazy hood ornament on the bow of his 18’ Maravia. 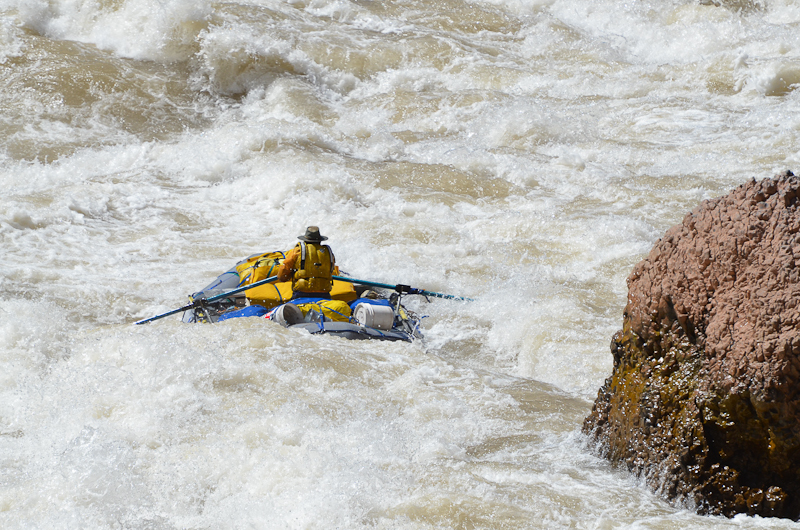 Mike had a great run, walking the line between never quite in control and catastrophe. 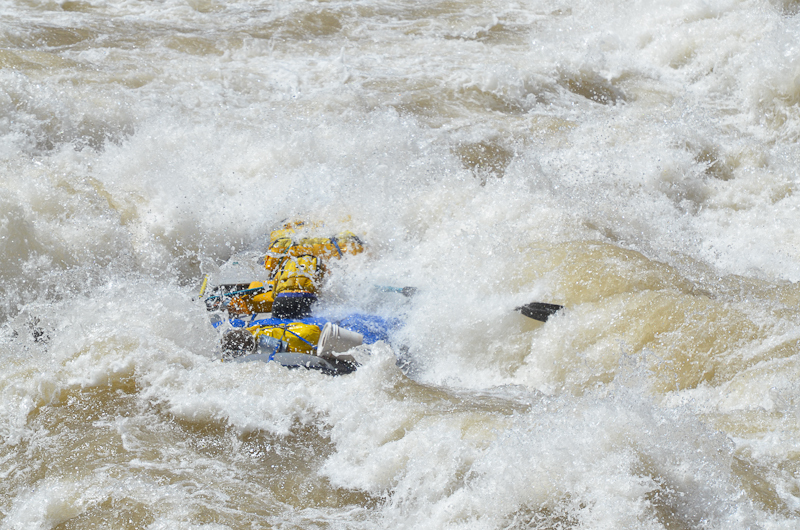 Martin was under water much of the time. 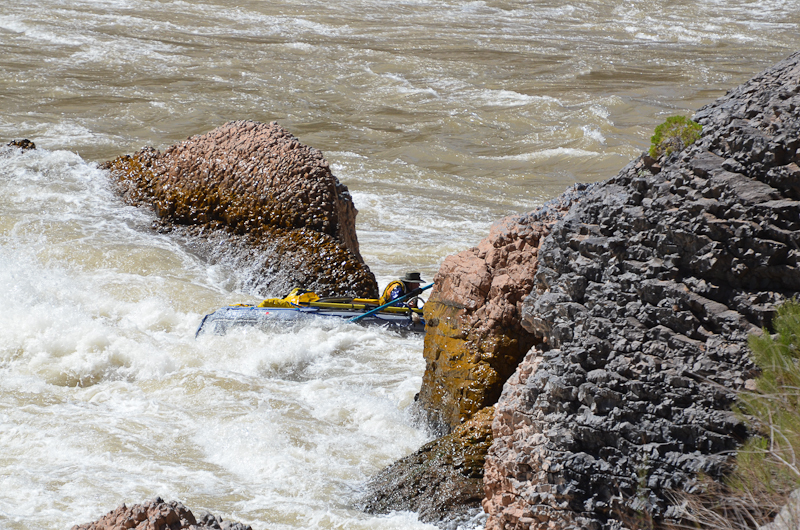 Having run Lava at flows ranging from 7k – 70k, Mike later said it was the nastiest and scariest he had ever seen it. 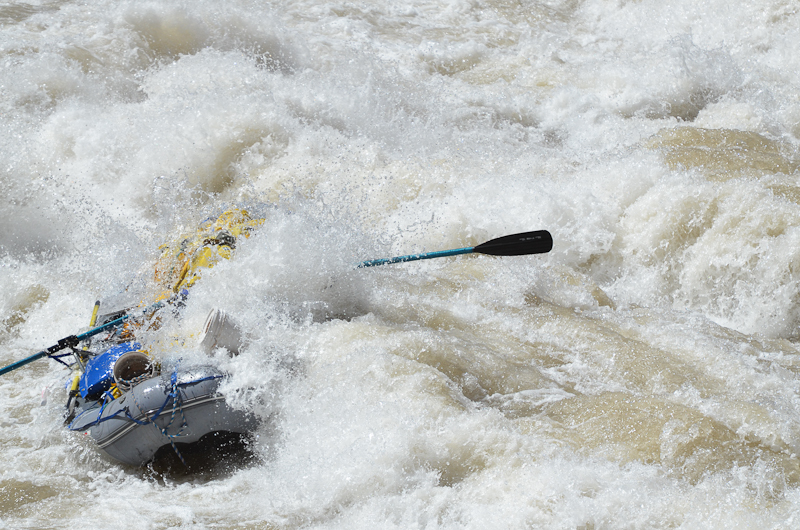 As Mike passed the Cheese Grater, John slid past the Ledge Hole. 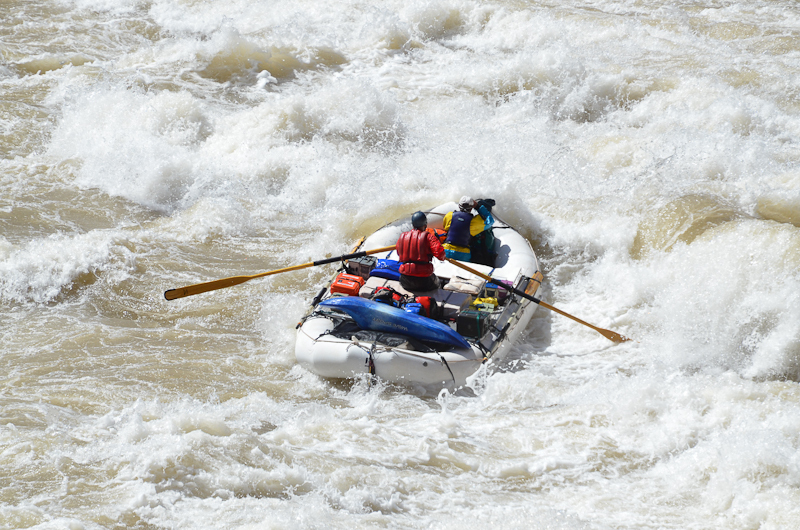 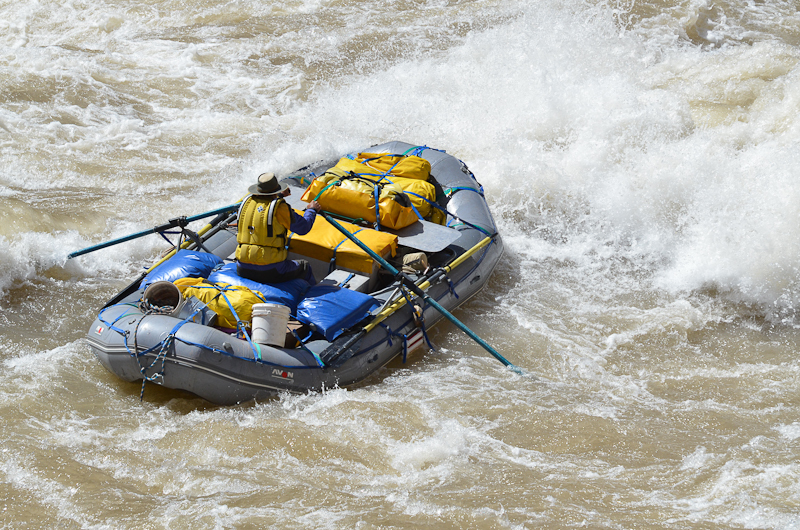 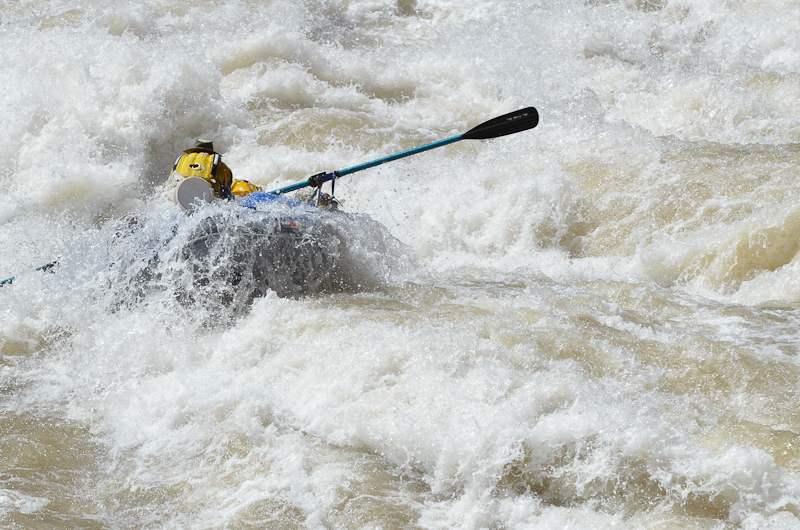 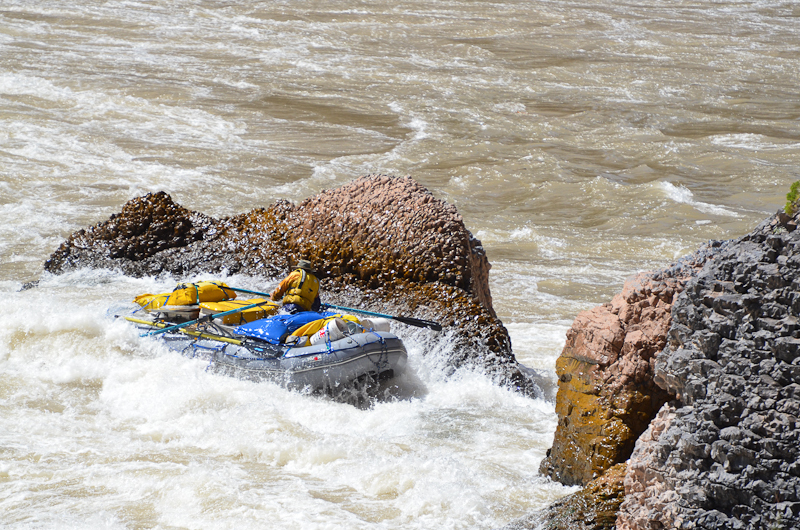 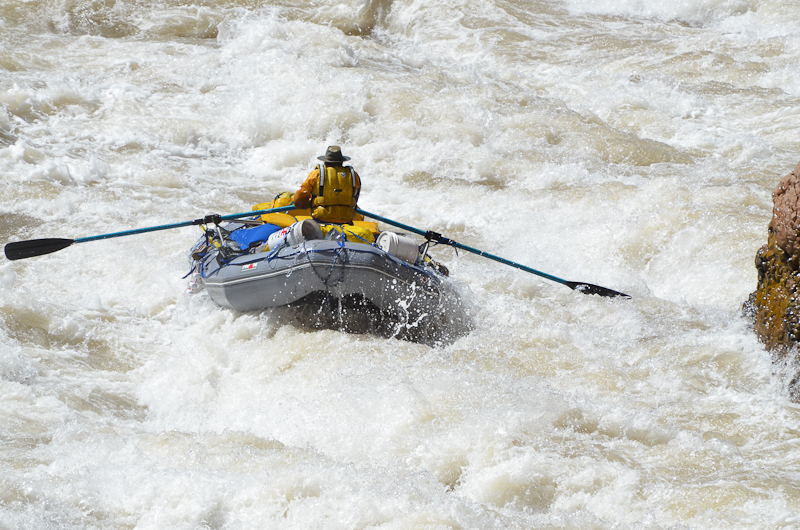 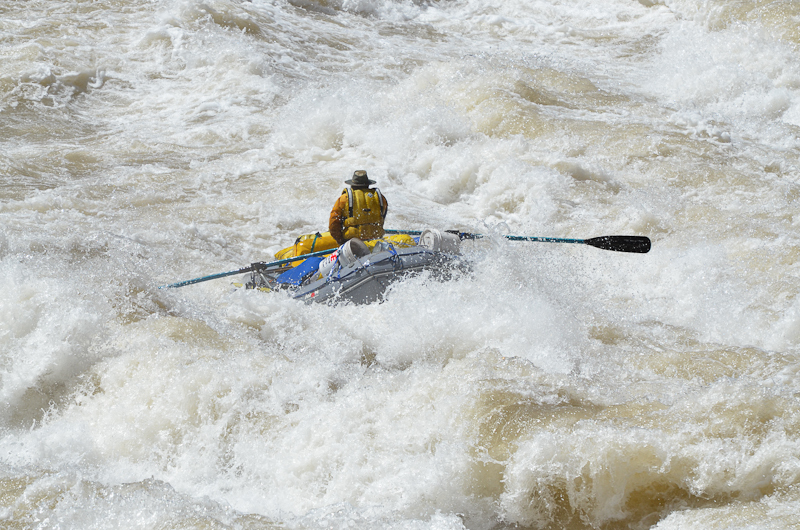 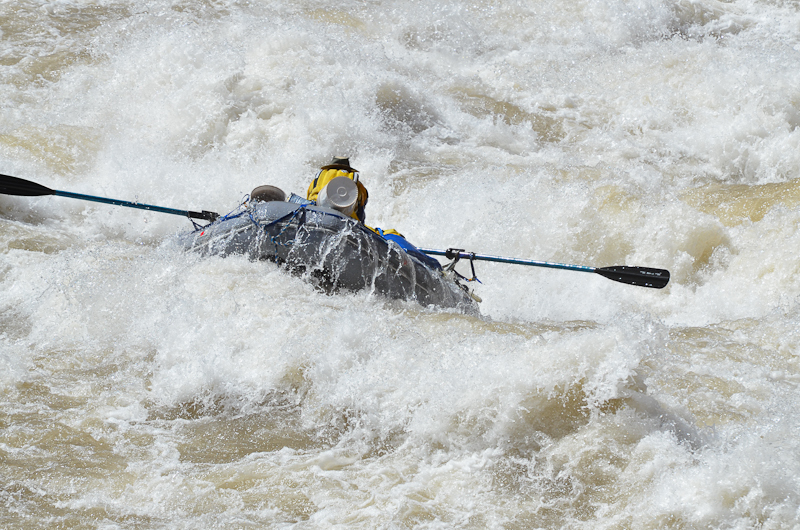 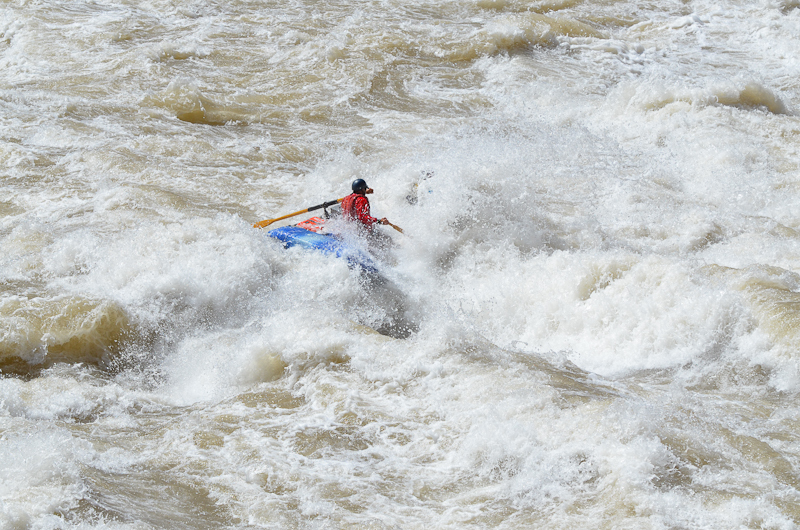 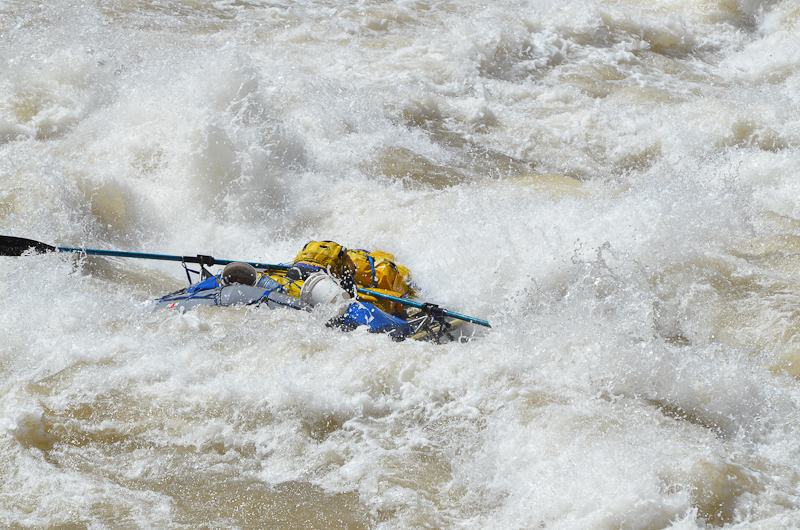 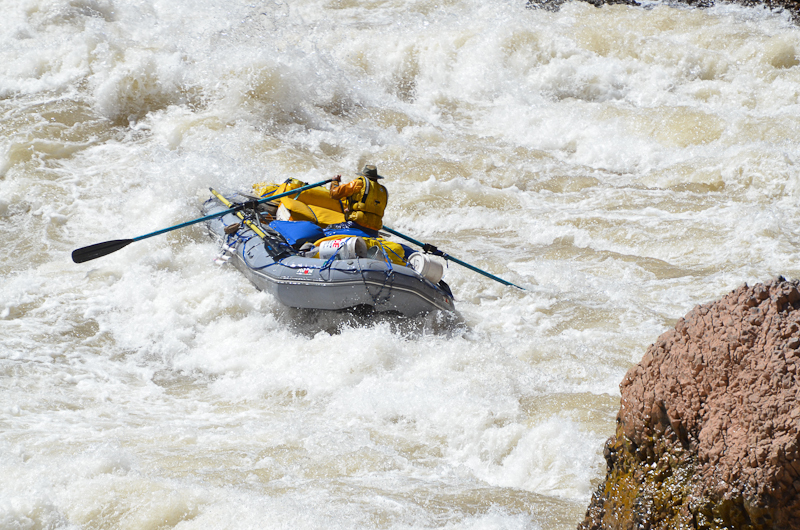 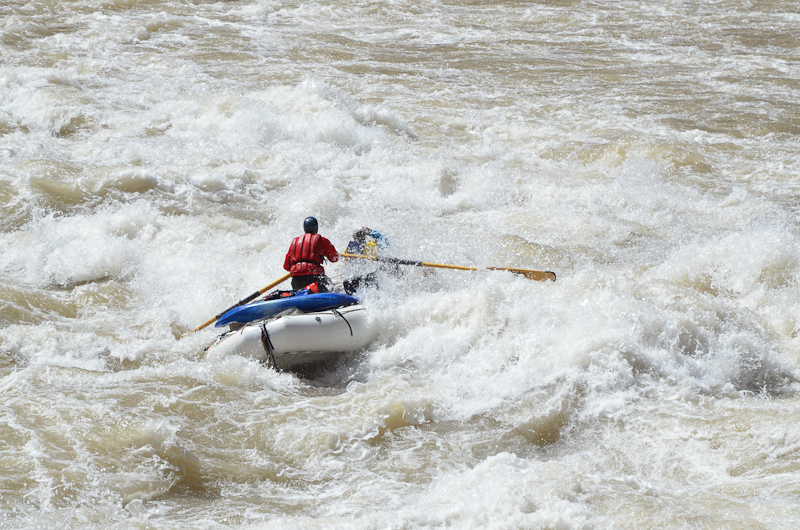 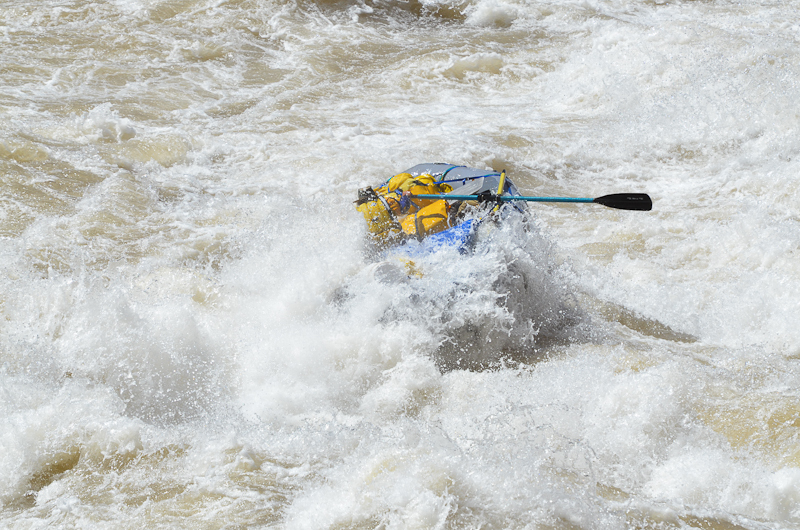 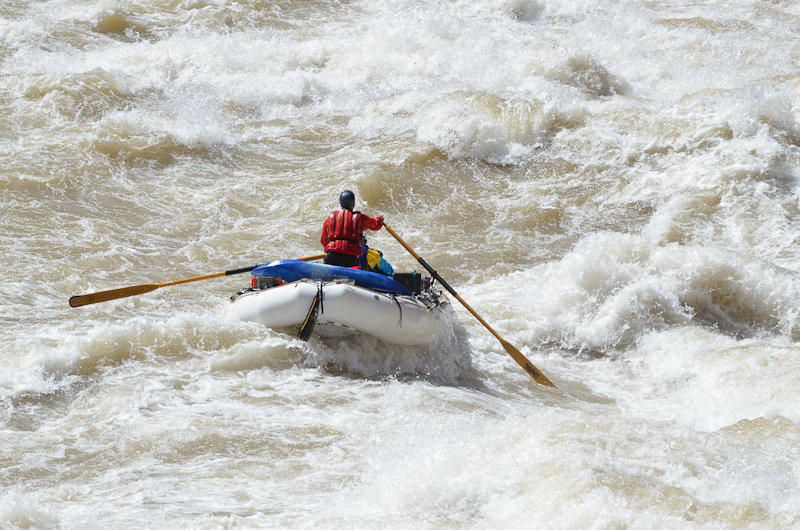 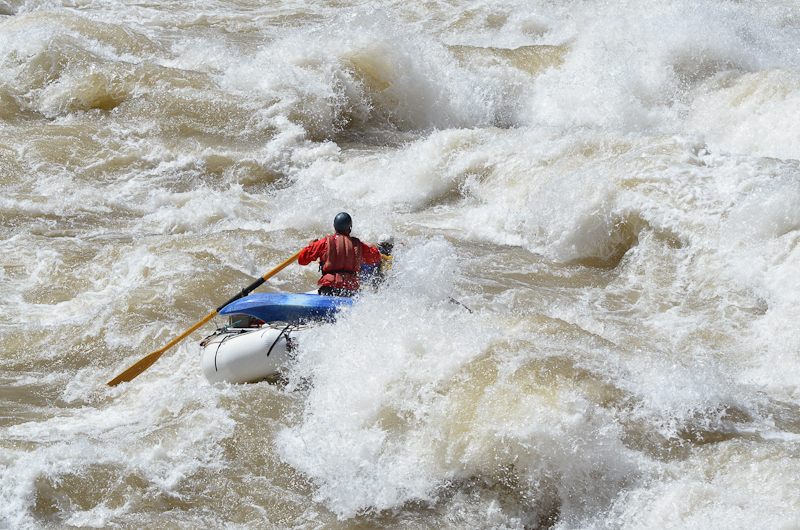 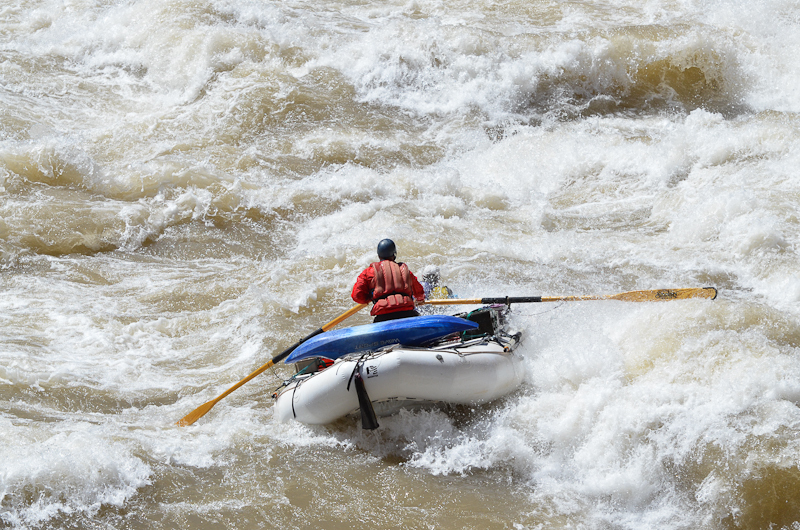 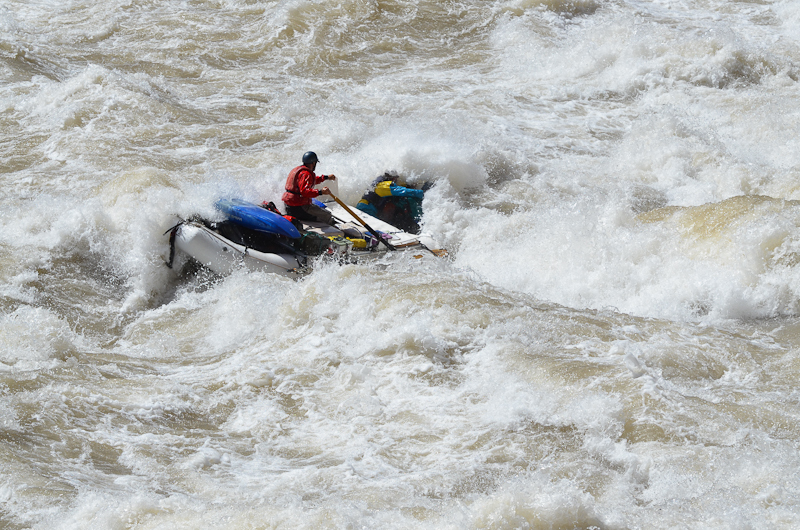 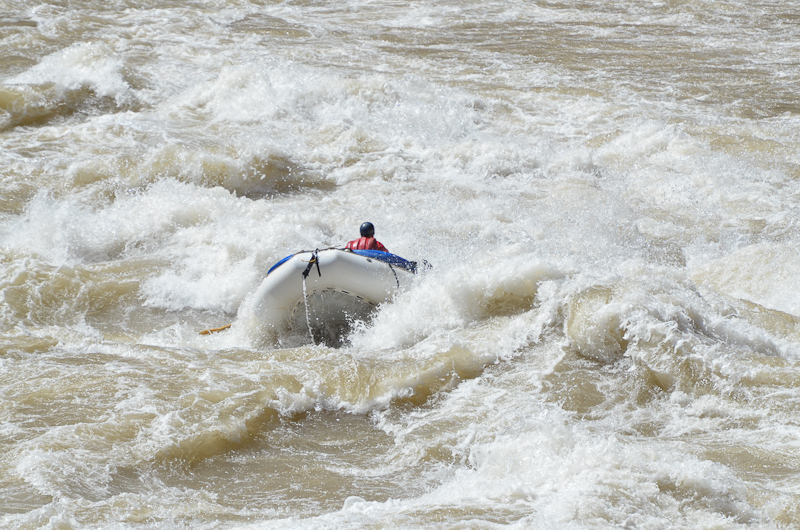 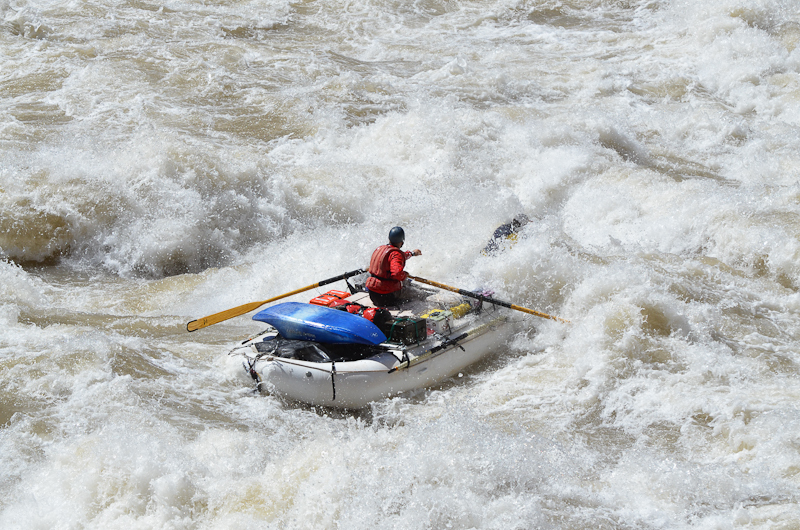 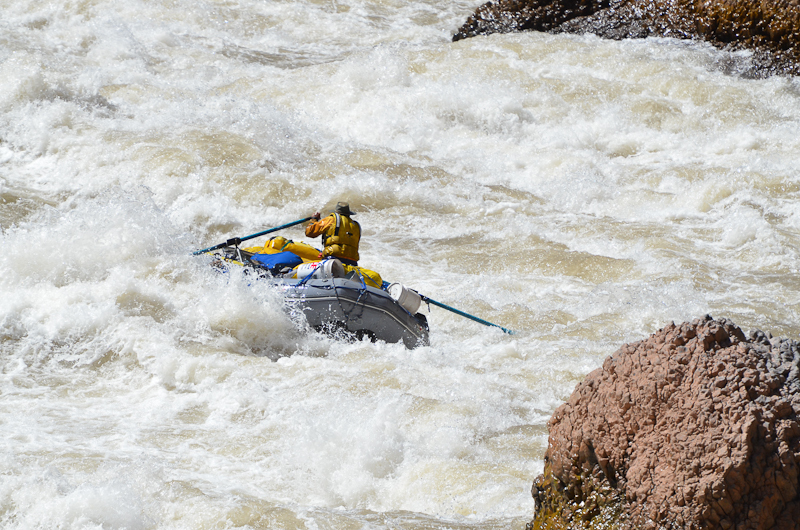 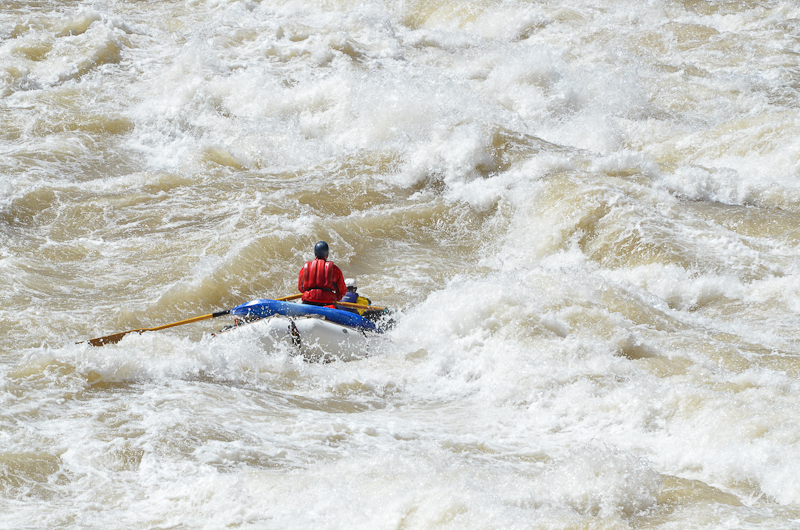 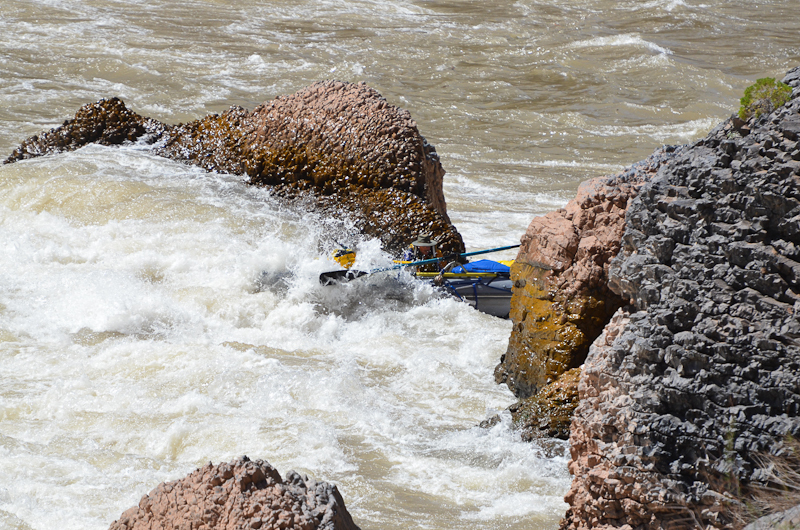 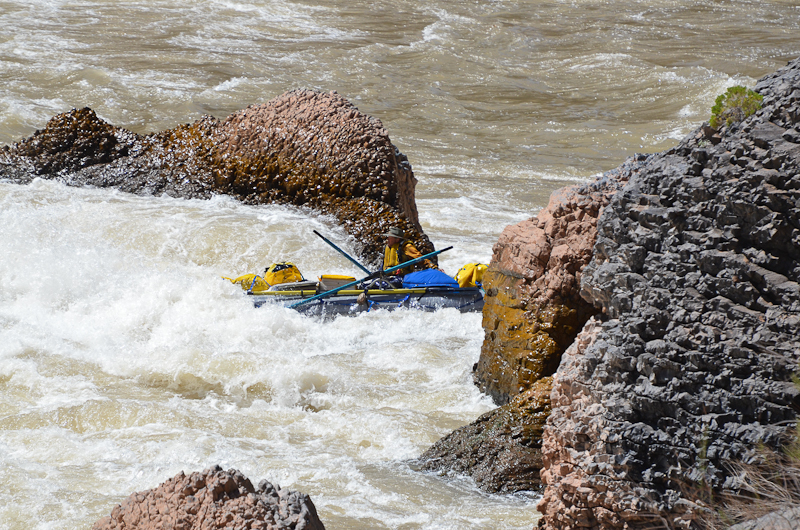 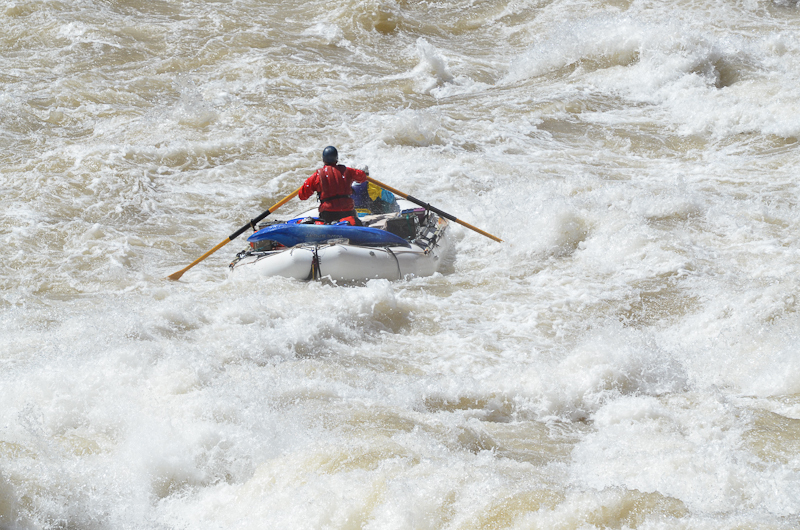 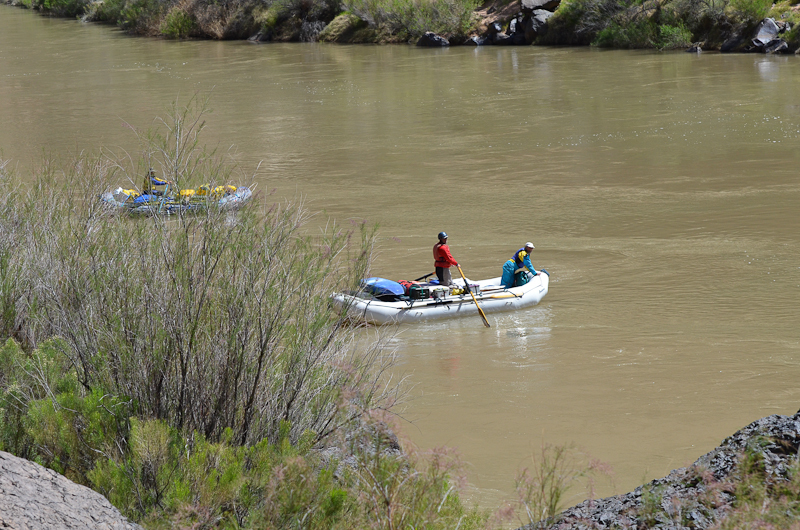 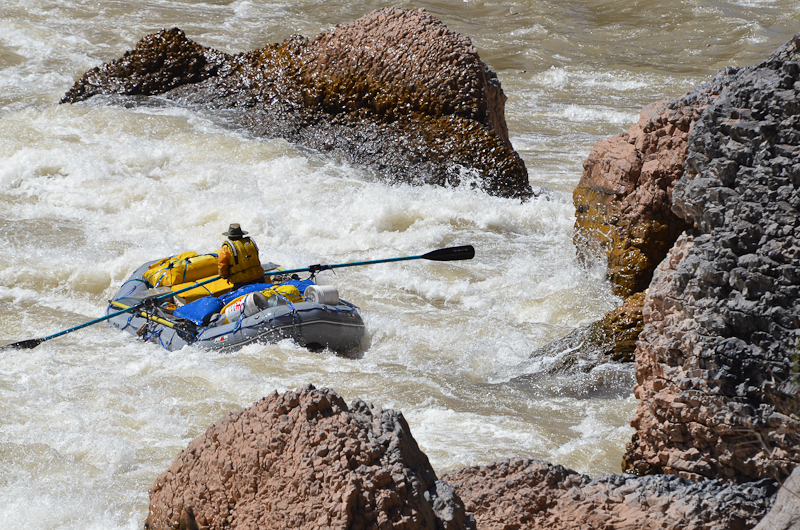 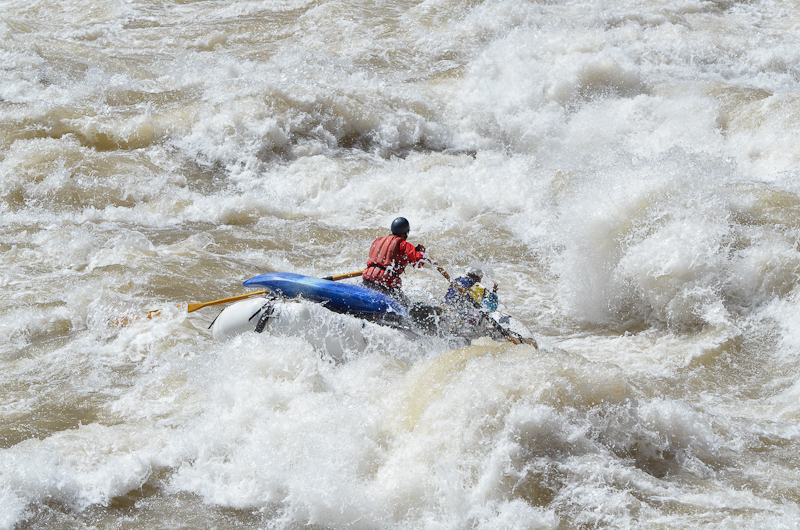 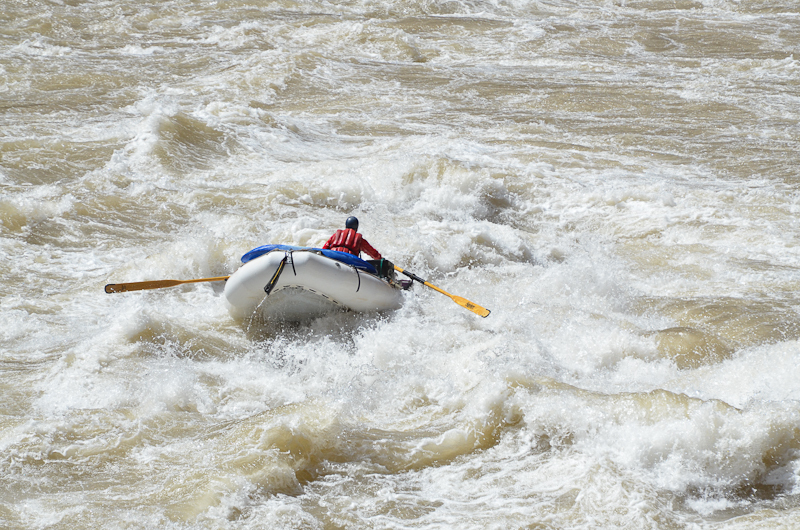 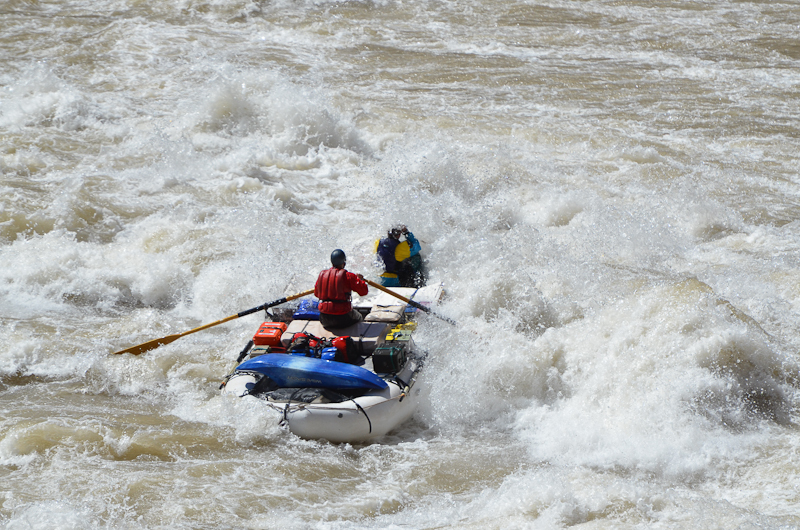 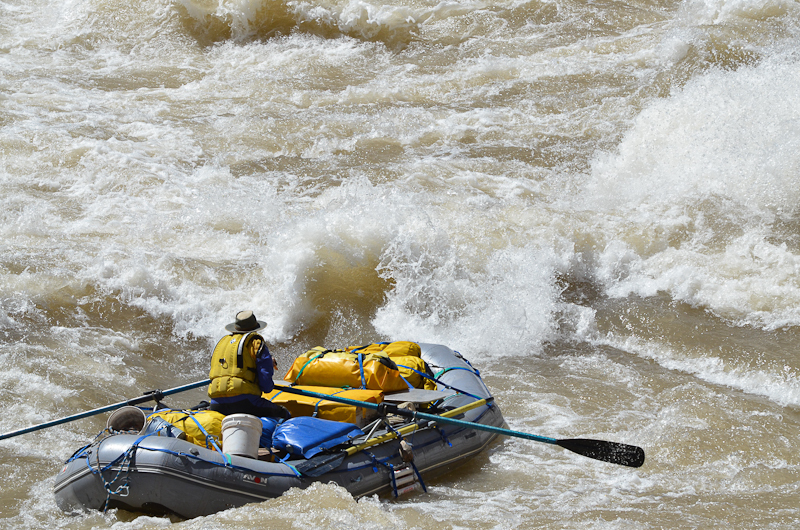 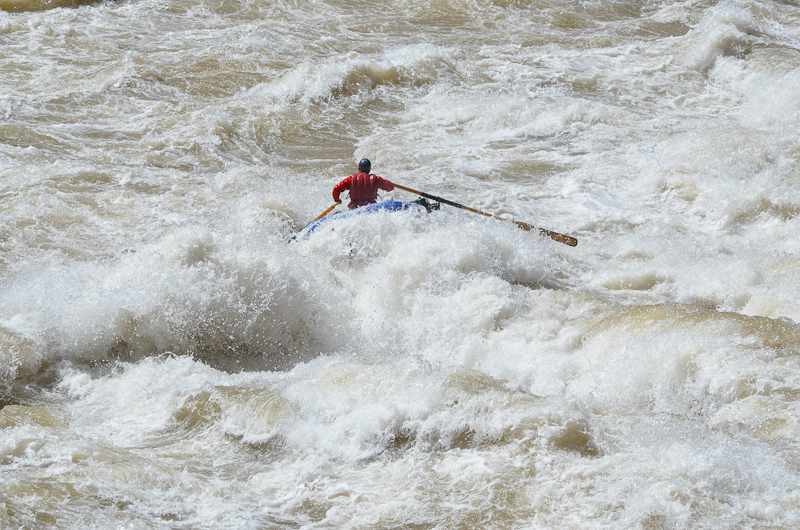 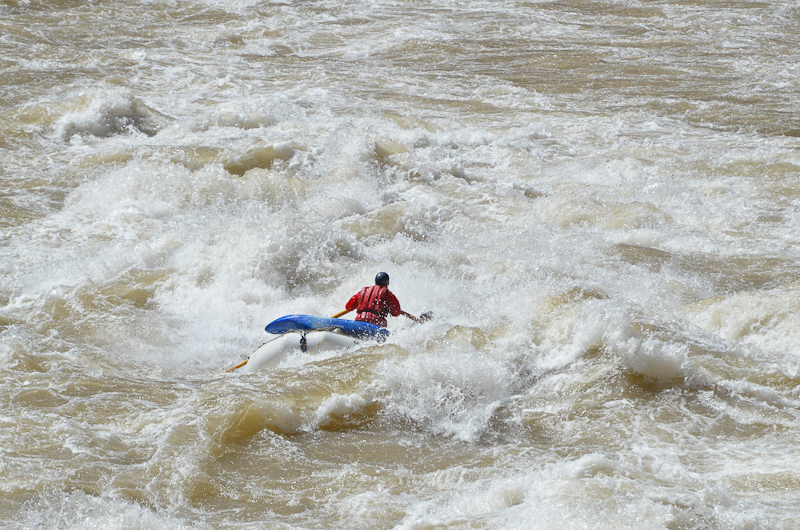 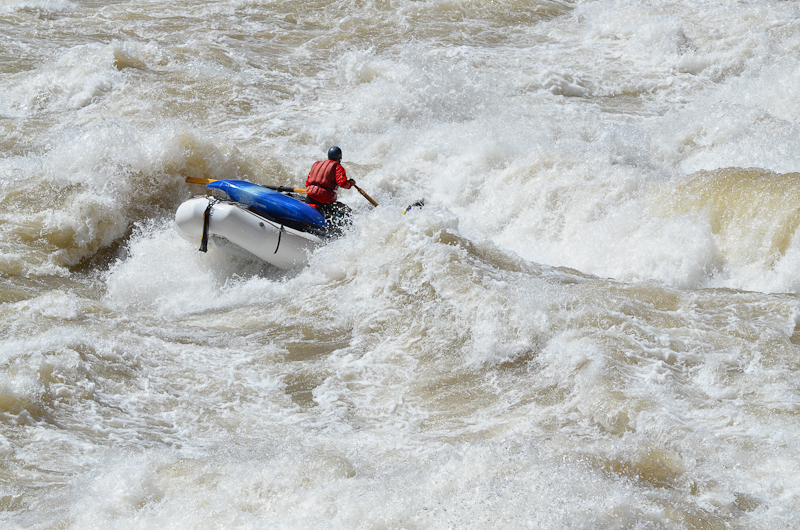 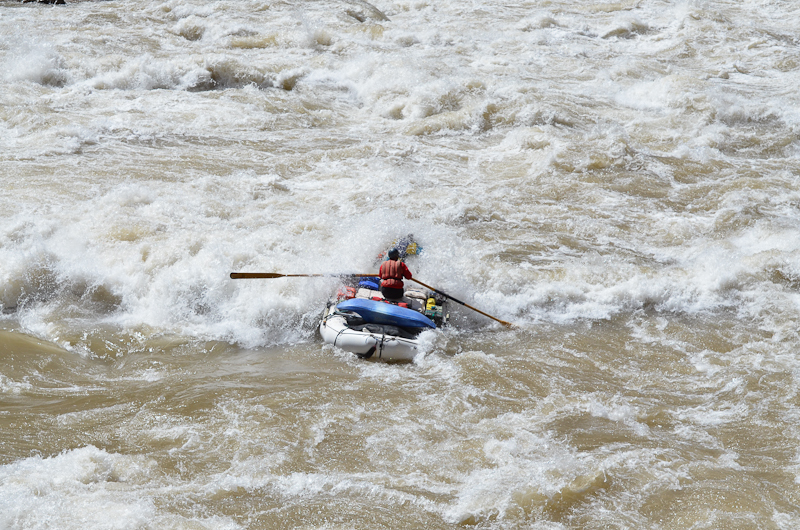 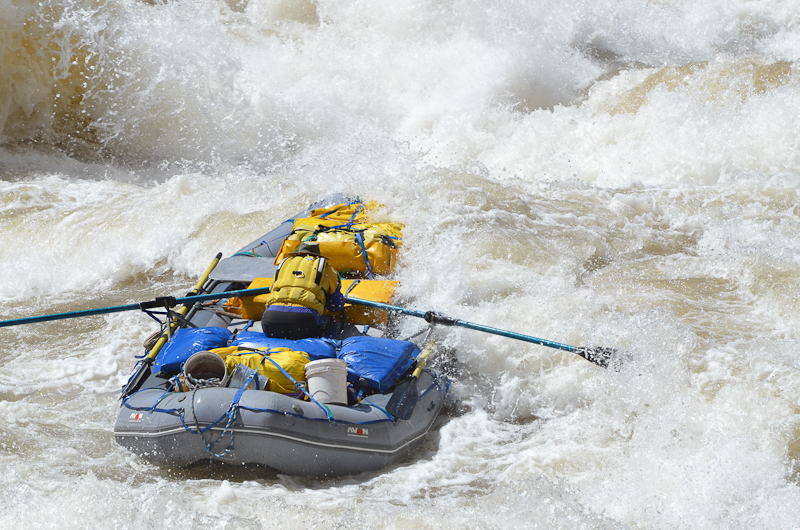 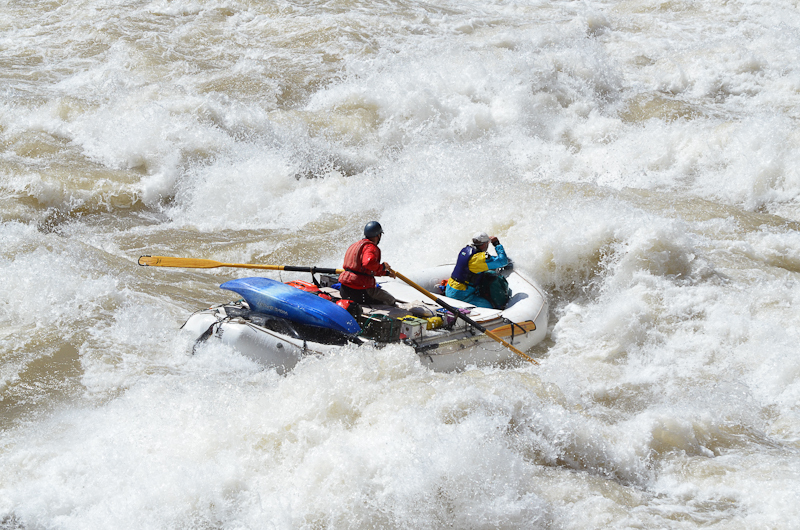 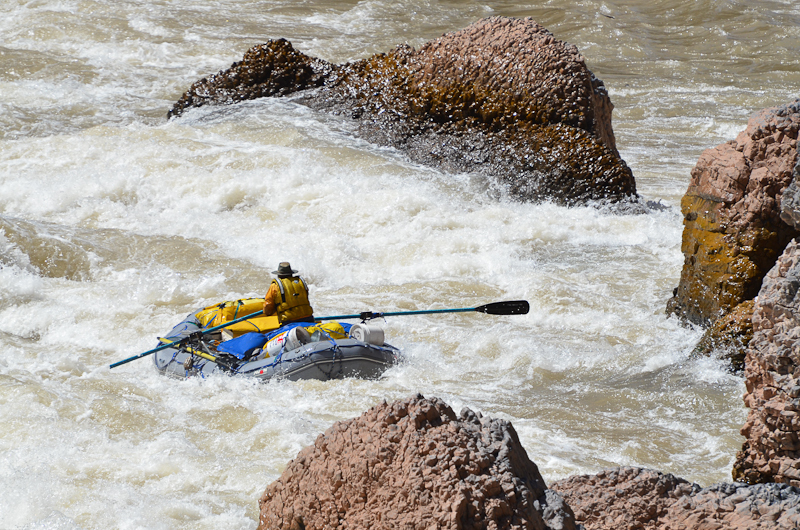 In his 16ft Avon, it was all John could do to not get washed out of the raft before even reaching the V wave. 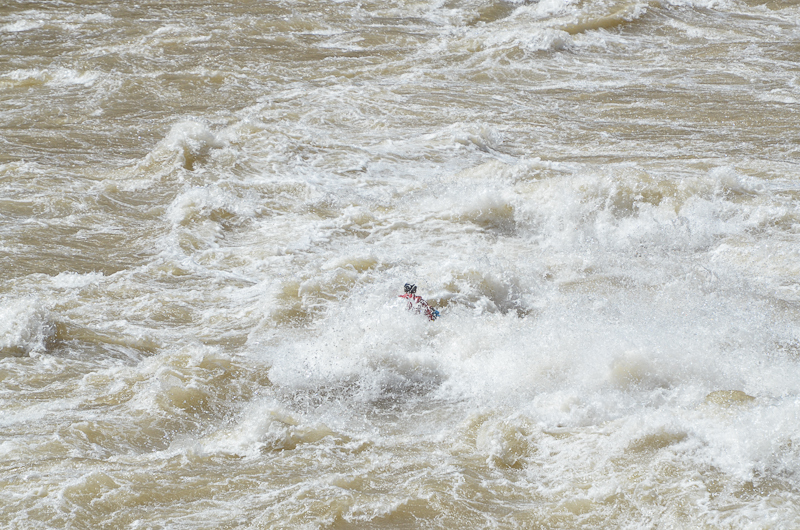 As he emerged from his plunge through that wall of water, he was still in decent shape. 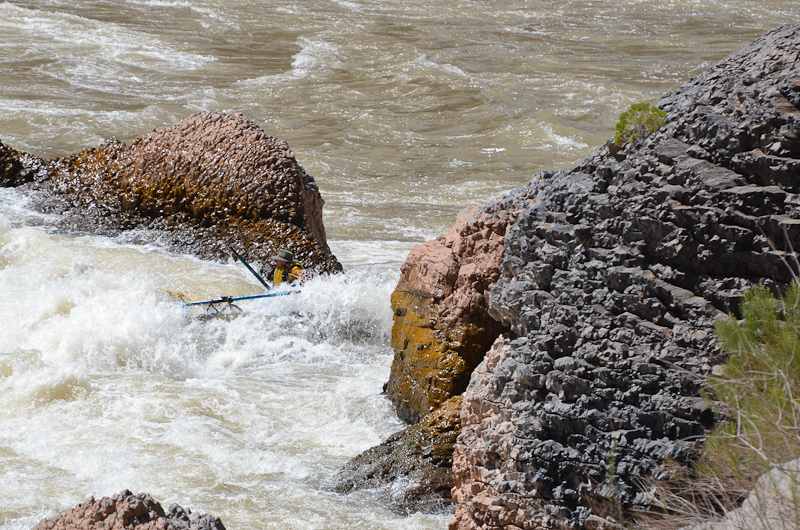 Then, to our growing horror, the river took him on a vector, straight to the Cheese Grater. 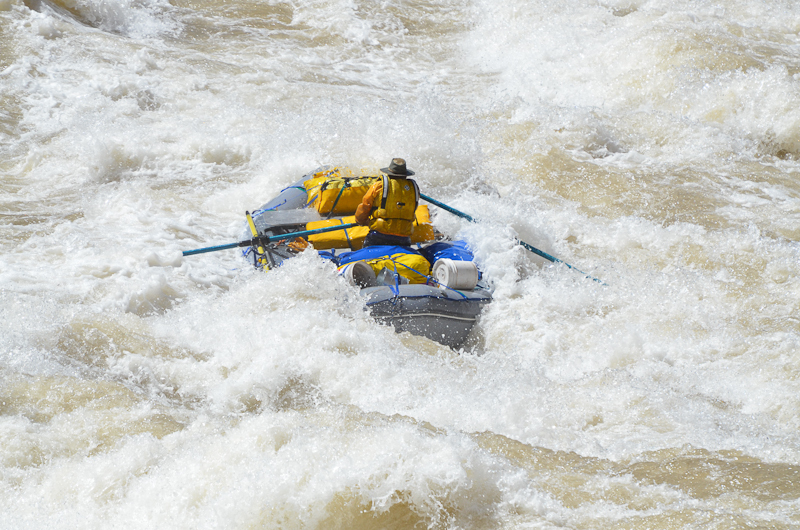 John immediately started high-siding and moving around the boat to keep it under him. 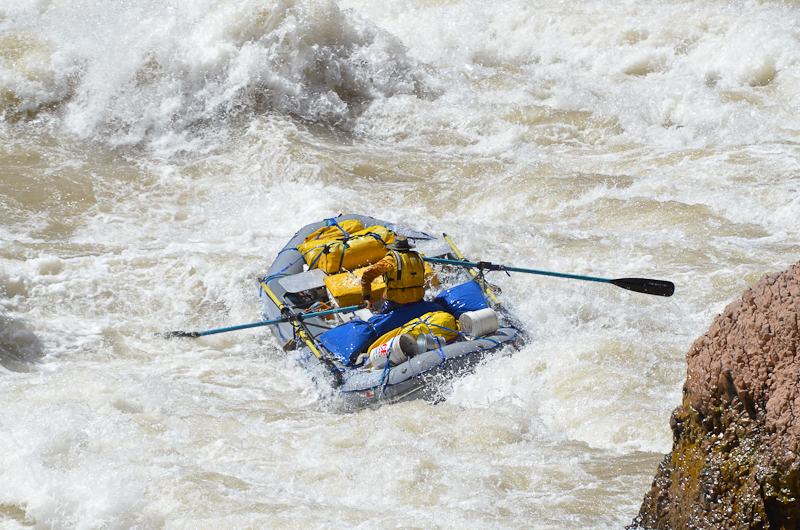 If John wasn’t in the most awful place you could imagine a raft to be, it certainly warrants an honorable mention. 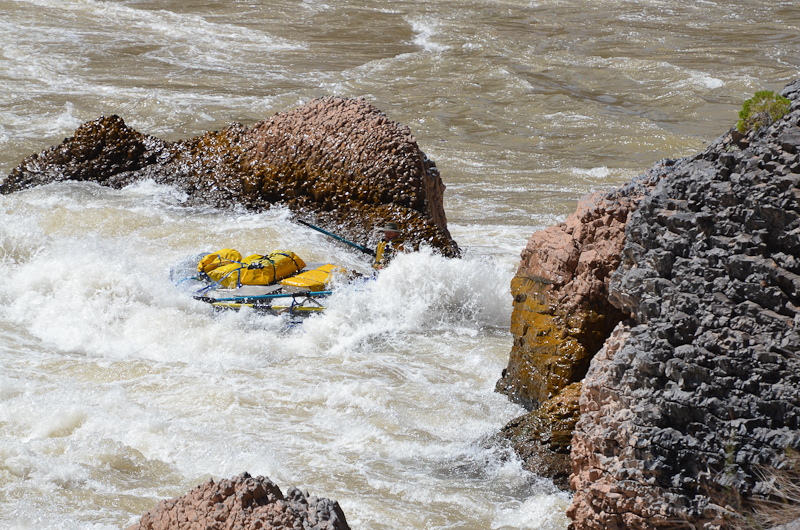 The boat was getting surged and surfed up and down the grater, and in, out, and around the mouth of the raging slot. 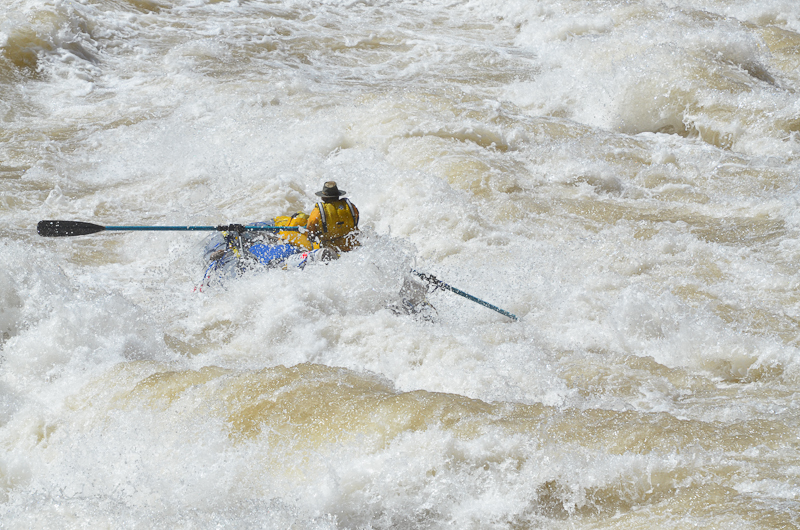 Soon, John dropped to the floor to lower his center of gravity, or maybe he was thrown there. 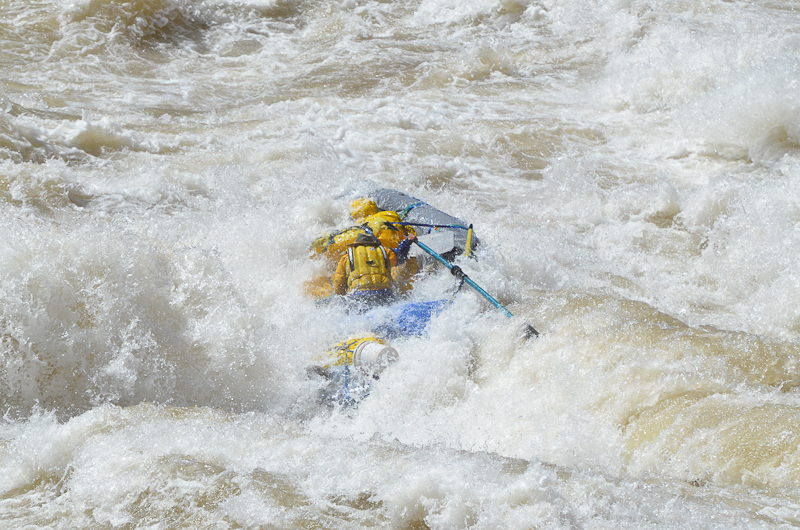 While it was horrible to watch, it looked like John was relatively stable for the moment. 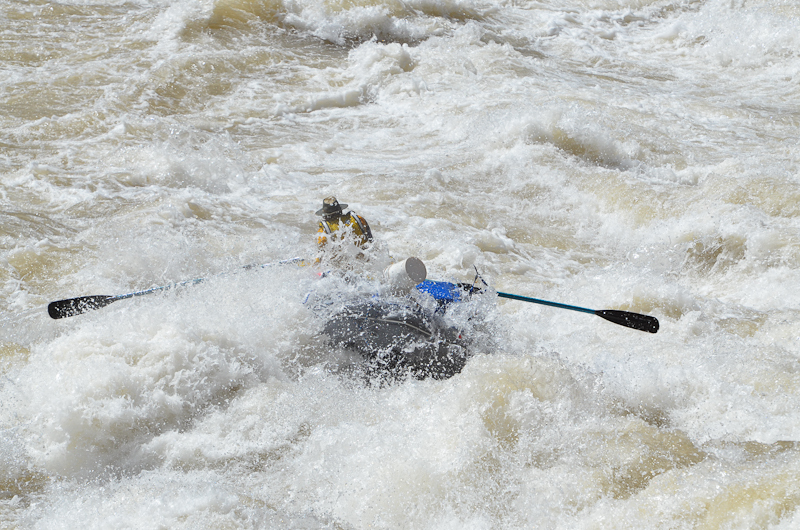 And it was instantly clear that we were going to spend some serious time at Lava Falls.